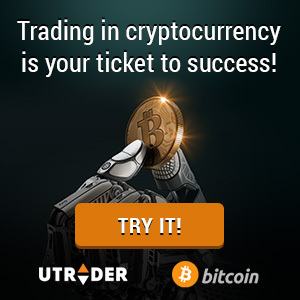 Binary options trading are an amazing way to earn extra income, but without having sufficient knowledge about the basics of online trading, you may become clueless as what to do next. Learning the binary options vocabulary is the first and foremost thing to do if you’re a novice trader and getting to know the lingo is one of the most important aspects to learn binary options. In our exhaustive binary options glossary, you will find the most commonly used terms and phrases in the world of binary options trading. If you’re not completely familiar with our Titan Trade trading platform or how binary options work, this glossary could prove helpful for understanding some common terms and phrases and getting yourself up to speed. We created this comprehensive binary options glossary to address common questions about the terminologies used throughout our site. This glossary serves as your personal guide when you encounter a certain jargon you’re not familiar with. From basic phrases such as in-the-money, Call Option and assets to advanced jargons such as expiry rates, bullish and bearish market, we’ve got you covered. If you have questions or concerns not addressed in our binary options glossary, please contact our Titan Trade support team for additional information. Strike Price – The current price of the underlying asset at the moment at which the option is purchased. When the option expires, the price of the underlying asset is compared to the strike price to determine whether the option has gained value (in the money) or not (out of the money). In-the-Money – An option is considered in-the-money if the option gains value upon expiration. In binary options, a Call option is in-the-money if the price of the underlying asset is above the strike price, while a Put option is in-the-money if the price of the underlying asset is below the strike price. Out-of-the-Money – An option is considered to be out-of-the-money if the option loses value upon expiration. A Call option is out-of-the-money if the price of the underlying asset is below the strike price, while a Put option is called out-of-the-money if the price of the underlying asset is above the strike price. Expiration – This refers to the time and date at which the option expires. When the option reaches its expiry, the option becomes void and terminates the trade. Asset – The financial instrument used to determine the strike price of the option. At Titan Trade, our assets are available from within four main categories: commodities, stocks, Forex or currency pairs and indices. Payout – Also called as return, payout is the percentage of the original investment that the trader will receive when the option expires in-the-money. Payouts offered by Titan Trade typically range from 70% to 85%. Learn about the world of binary options trading and Titan Trade review the basic terms used throughout our site through our extensive binary options glossary. Also, maintain your edge with our up-to-the-minute market news, daily and weekly market reports and economic calendar that explains the potential impact of upcoming economic events.